Most people understand that a sustainable green home increases the efficiency of the house, but sustainable living incorporates more than just high efficiency light bulbs. Green buildings reduce the structure’s negative impact on human health and environment over the lifetime of the building. Location. Each mile lived closer to work saves you $795/year in commuting expenses (source). We build on challenged lots to protect the ridge lines and keep you close to daily amenities. Insulation, Windows & Doors. In 2015, the average Asheville household spent $163/month in energy utilities (source). 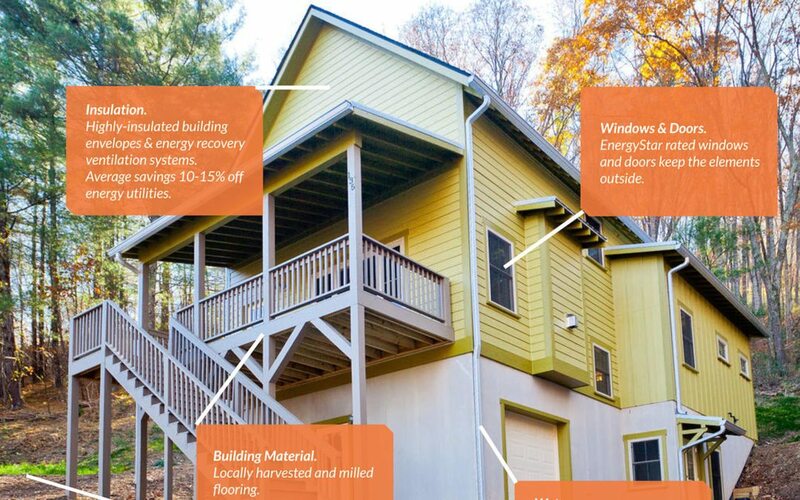 The average green home reduces energy cost by 10-15% saving you $16-$24/month. Highly-insulated building envelopes and EnergyStar rated windows and doors help insulate your home from the elements. Air ducts do not leak into unfinished spaces and Beach Hensley installs energy recovery ventilation systems standard in all our homes. Building Material. Locally harvested and milled flooring (when possible) incorporates local WNC lumber and durable siding material made of renewable resources. Water. In 2015 the average Asheville household spent over $400 a year on water (source). Water saving fixtures, dual flush toilets, and permanent stormwater controls can save over 30% on your annual water bill, saving you over $100/year. Added Value. 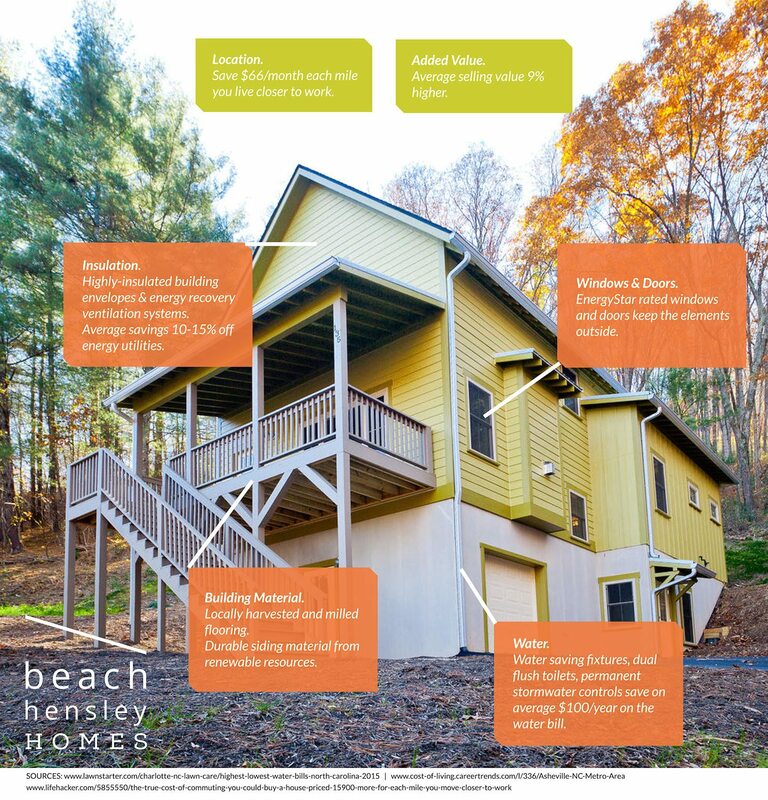 A green home has an added average selling value of 9% compared to traditional non-sustainable homes.